The official map update portal of NNG Company, is now available in the Ukrainian language. NNG, the developer of iGO GPS navigation software, created Naviextras.com in 2008. It is an official map update portal, were legal users of iGO 8, iGO Primo, iGO Amigo, CarteBlanche Navigator and other iGO-based software can update their maps and purchase the maps of additional countries. Naviextras.com offers over 40 map packages covering about 70 countries around the world, including map packages for All Europe and Eastern Europe and a separate map of Ukraine. The portal is already available in 10 languages. The portal has been localized for Ukraine by Carte Blanche Ukraine, the official distributor of NNG products and the Ukrainian map material supplier for iGO navigation. High Quality Navigation App Mireo DON’T PANIC for Android Comes to Ukraine! Are you an owner of Android smartphone with GPS receiver? Need navigation? Want to get the most out of your device? You are only two steps away from an efficient and affordable solution! Download Mireo DON'T PANIC door-to-door navigation software with 7-day trial map of Ukraine from Play Store (Android Market). You undertake no liabilities and don’t even need to leave your home or office! After the testing period expires, buy an activation code to install the full map version without limitations, including building footprints and 3D models of some buildings and landmarks. We are sure you’ll like it! 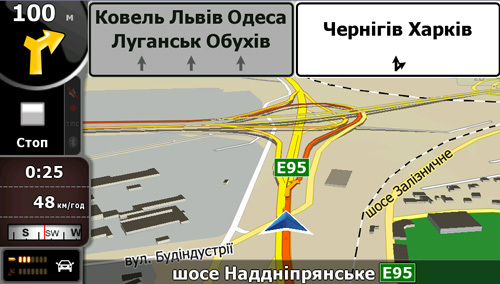 Prestigio GeoVision 5300 devices with Mireo DON’T PANIC software and CarteBlanche Ukraine map are available in Ukraine. GeoVision 5300 is a new model in Prestigio product line. The device has a 5” touch screen and a slim 12.5 mm body with aluminum frame. It is notable for stylish look, convenience for the user and perfect quality. Mireo DON’T PANIC includes the detailed CarteBlanche map of Ukraine, providing accurate route calculation between cities as well as inside settlements. The map features detailed coverage of in-block passages in Kyiv and many other cities and includes more than 64 000 POIs. Now the Ukrainian users have a fully localized GPS navigation solution, not only with menu and voice guidance in Ukrainian, but also taking into account all local addressing system peculiarities such as house numbers with fractions and letters and complicated in-block passages in residential districts. At the same time the application can boast first-class quality and amazing speed. NNG LLC has tripled the number of automotive software licenses sold in 2011. The developer of iGO Navigation software has already signed agreements with global car OEMs to deliver another 4.6 million licenses in the next 2–3 years, aiming at significant international growth in 2012. NNG LLC, one of the leading navigation software suppliers of the automotive industry, has profited from exceptional international success in 2011, despite the economic recession. Compared to last year, the company has tripled the number of licenses in its global automotive business. This demonstrates how NNG is moving towards its strategic goal set two years ago: to become a leading automotive supplier at a global level. In 2012 the company intends to increase the number of its staff significantly. Based on agreements with Tier1s and car manufacturers around the world, NNG will ship additional 4.6 million iGO Navigation software licenses in the next three years. The company is expecting this quantity to grow even further – by selling a total of 16 million licenses in this time frame. NNG has forecast an annual doubling of production over the coming years. To undertake its latest projects and those anticipated for the near future, NNG has launched a remarkable recruitment campaign in Hungary, where the headquarters and development center of the company are located. “Today, our products are known and used on all five continents,” says Peter Balogh, interim CEO at NNG LLC. “Our versatile software engine enables us to fulfill the needs of car manufacturers that deliver to all regions of the world. I cannot disclose any brand names at this time but, more and more frequently, the best cars in the world will be sold ready equipped with iGO Navigation. For this reason, we are currently looking for more highly qualified staff, who aren’t afraid of taking on serious professional and international challenges”. We are glad to announce that the 2011.06 version of Carte Blanche Ukraine NT map is now available for Garmin® navigation devices! The total road network coverage is increased by 6 400 km. Detailed coverage added for 121 settlements: cities of Berdians'k, Bilhorod-Dnistrovs'kyi, Enerhodar, Kramators'k (with suburbs), Lozova, Reni, Shepetivka, all settlements in Bilotserkivs’kyi and Kaharlyts’kyi Districts of Kyiv Region, and Slavsko ski resort. Building footprints added in the cities of Berdians'k, Bilhorod-Dnistrovs'kyi, Enerhodar, Khmel'nyts'kyi and Zhytomyr. Number of POIs increased to more than 64 200. A detailed coverage of 534 settlements (46.8% of the Ukrainian population), including 119 cities; almost all of this coverage (41.4% of population) has address search. A full coverage of 7 districts in Kyiv Region (Bilotserkivs'kyi, Boryspil's'kyi, Brovars'kyi, Kaharlyts'kyi, Kyievo-Sviatoshyns'kyi, Obukhivs'kyi and Vasyl'kivs'kyi). A uniquely detailed coverage of in-block passages in Kyiv and a detailed coverage of in-block passages in many other cities. The total length of the road network constitutes 433 900 km, including a substantial number of unpaved roads. Legal users of CarteBlanche Ukraine or CarteBlanche Ukraine NT map may get the update for free at the Updates page, provided that their navigation device is compatible with the new map version. NNG company has recently released update 2.1.5 for iGO Primo iPhone edition*. Please note that the update is necessary to preserve all the content downloaded for your app! As Apple company has decided to change the way users identify their device, NNG has changed iGO software accordingly. If you have ever extended your app through in-app purchase (e.g. speedcams or traffic for any countries), be sure to update your iGO primo before the next update at the end of October. Otherwise NNG company can not guarantee your purchased in-app items will be accessible! If you have not updated the software yet, your iPhone or iPad will notify you if there is an update to be downloaded. * This update is available for all iGO primo app versions with in-app purchase option: Europe, Western Europe, Eastern Europe, Eastern Europe Region, DACH, Russia, Brazil, Turkey, Middle East, UK & IRL, Israel, North America, Italy, France, Scandinavia, Iberia, Benelux. We are glad to announce that the 2011.07 version of CarteBlanche Ukraine map is now available for CarteBlanche Navigator, iGO 8 and iGO Primo software! Legal users CarteBlanche Navigator, iGO 8 and iGO Primo software can download the new map version from NNG official map update portal www.naviextras.com. Special Offer from Navon Company: Petrol and the Map of Eastern Europe for Free! We are glad to invite Ukrainian PND customers to take advantage of a unique special offer by Navon Company and ERC Company, the official Navon distributor in Ukraine! From the 25th of July all who purchase Navon GPS navigation device are guaranteed to receive from 5 to 50 liters of free gasoline at WOG fuel stations, as well as get an opportunity to receive a map of Eastern Europe with a detailed coverage of 22 countries free of charge. The special offer is valid for all Navon navigation devices with preinstalled licensed iGO Primo and iGO Amigo software, as well as for Magneo PNDs with iGO8. The number of free maps is limited! Installation of the maps of Eastern Europe and technical support for the customers are provided by Carte Blanche Ukraine company (please find the contact information at the contact page). In our office you can also purchase Navon and Magneo GPS navigation devices as well as receive qualified advice about using them. We are glad to announce that the 2011.03 version of Carte Blanche Ukraine NT map is now available for Garmin® navigation devices! The total road network coverage is increased by 3 200 km. Ternopil's'ka region: Berezhany, Buchach, Chortkiv, Kremenets', Terebovlia, Zbarazh, Rai. Part of the address database in Kyiv updated on the basis of our own pedestrian GPS/photo survey. Building footprints added in the city of Poltava. Number of POIs increased to more than 62 200. A large number of feedback messages from the users taken into account. iGO Primo, a flagship of iGO navigation software line by NNG, is available for iPhone and iPad. iGO Primo provides realistic 3D GPS navigation with detailed road junctions, stunning terrain visualization, city plans and true-to-life models of landmarks. In addition to standard navigation functions, such as calculating a route between 2 or more points, POI search, determining the user’s location etc., iGO Primo is capable of point addressing and searching addresses with letters, calculating several route variants to one and the same destination and comparing them, and many more. The software is optimized for use on the smartphone: it has extra large buttons for the user’s convenience and an auto-orientation function providing automatic selection between portrait and landscape format. In addition, it is possible to call a chosen POI directly from the application, and after an incoming call the device returns to navigation mode without any user interaction. iPhone and iPad users can purchase iGO Primo through AppStore. About 20 various map packages are available, two of them (namely Eastern Europe and All Europe) including CarteBlanche map of Ukraine. The Eastern Europe package, which includes maps of 20 countries, costs 49.99 USD. We are glad to announce that Carte Blanche Ukraine participated in the 19th Kyiv International SIA`2011 Motor Show, the major motor show of Ukraine, which took place on May 25th–29th. At the exhibition Carte Blanche Ukraine presented a perfect ready-to-use GPS navigation solution – high-quality Navon devices with iGO Primo software, a flagship in the line of NNG navigation programs. As usual, a full range of the company products has been presented as well, offering the users software and maps for any type of navigation systems, from PDAs with a GPS-receiver to car multimedia navigation systems. This year SIA exhibition was a success, and Carte Blanche Ukraine company booth attracted a lot of visitors. We are glad to announce that Carte Blanche Ukraine is participating in XIX Kyiv International Motor Show SIA`2011, which takes place on May 25–29, 2011 in the International Exhibition Centre (15 Brovarsky Ave.). 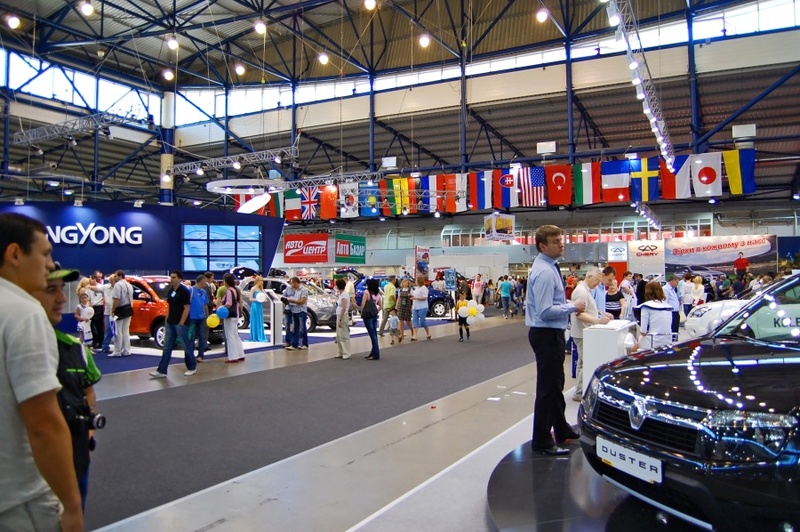 Kyiv International SIA Motor Show is an automotive event of a national scale, which annually gathers hundreds of exhibitors and thousands of visitors. 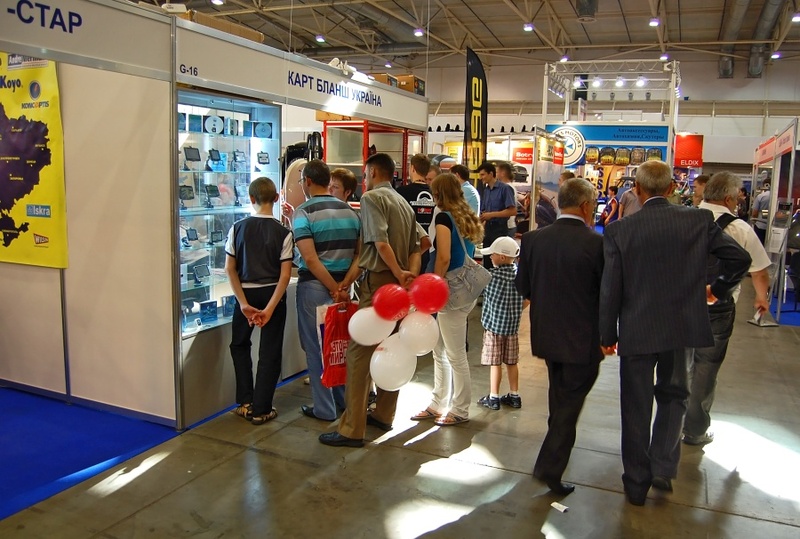 For example, last year about 400 companies participated in the exhibition, and the number of visitors exceeded 150 000. SIA Motor Show has obtained accreditation of the major world automotive community association – the International Organization of Motor Vehicle Manufacturers (OICA). Such a high support ranks the Kyiv Motor Show among the foremost motor shows of our planet. 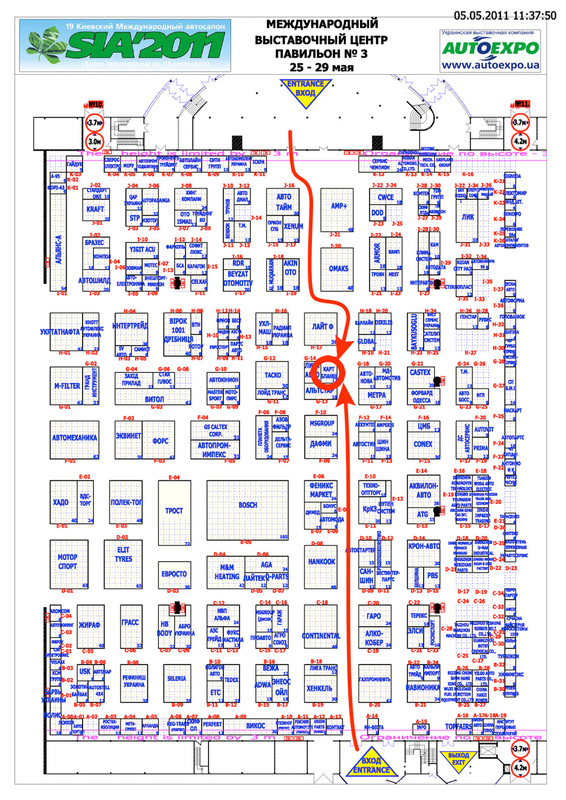 We will be glad to see you at Carte Blanche Ukraine Company Booth G-16 in pavilion # 3 (show on the pavilion plan). test and purchase Navon navigation devices with iGO Primo software – the flagship navigation software in iGO range. iGO Primo includes CarteBlanche map of Ukraine with point addressing, allowing to search addresses with fractions or letters and navigate to them through in-block passages. It also offers simultaneous calculation of several route variants, displays real distance to POIs by the road, and has a lot of other useful new functions. Specially for truck and bus drivers, a new Navon navigation device with iGO Primo Truck software will be introduced at the exhibition. iGO Primo Truck takes into account vehicle dimensions and limitations when calculating a route. Navigation devices are provided by Navon official distributor in Ukraine, ERC company. car service and tuning centres that install navigation equipment. Please note that the 25th of May will be the Press and Trade Visitors Day, and on May 26th–29th the exhibition will be open for the general public. We are glad to announce that the 2011.03 version of CarteBlanche Ukraine map is now available for iGO 8 and CarteBlanche Navigator software! Time dependent driving restrictions added to the map. Lane information added to a number of intersections in Kyiv. About 400 grade separated crossings captured to provide proper 3D visualization. Legal users of iGO 8 and CarteBlanche Navigator software can download the new map version from NNG official map update portal. 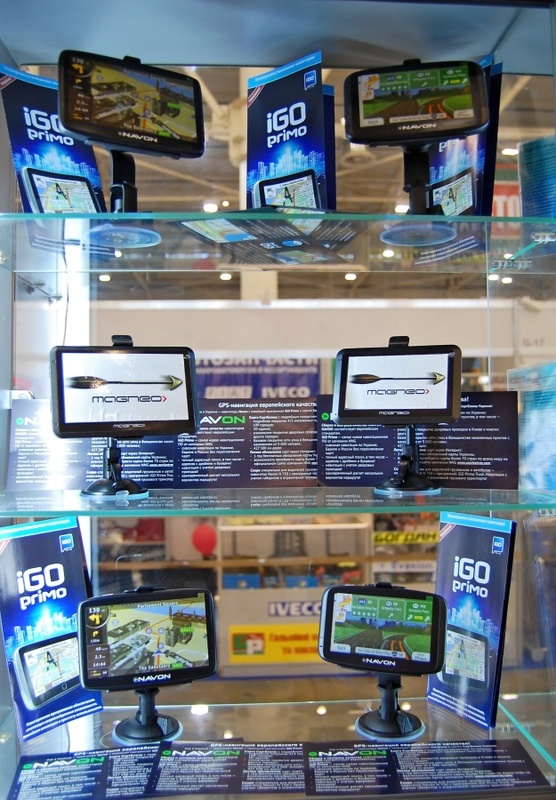 A criminal case according to Article 176 of the Criminal Code of Ukraine (Violation of Copyright and Allied Rights) has been initiated against one of the illegal iGO distributors, who was selling navigation devices with preinstalled pirated iGO software on “Radiolubytel” market in Kyiv. In October 2010 an inspection of navigation software distributors on “Radiolubytel” market was performed by Kyiv police forces. In the course of the inspection copyright violation was documented and 25 navigation devices with preinstalled illegal software were seized, as well as a laptop used to reproduce pirated software and SD cards with the maps of Ukraine, Russia and Europe. We are glad to announce that the 2010.12 version of Carte Blanche Ukraine NT map is now available for Garmin® navigation devices! Therefore, at the moment the detailed coverage of the map contains 332 settlements (44.4% of the Ukrainian population), including 100 cities; almost all of this coverage (40.5% of population) includes address search. The map includes a full coverage of four districts in Kyiv region, a uniquely detailed coverage of in-block passages in Kyiv and a detailed coverage of the in-block passages in many other cities. The total length of the road network constitutes 424 300 km, including a substantial number of unpaved roads. Nav N Go Company has changed its name to NNG! 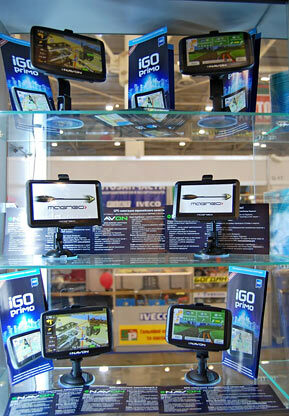 Nav N Go Company, the developer of iGO 8, iGO Primo and iGO Amigo GPS navigation software, has changed its name to NNG. The new name signifies a new era in the company development: NNG enters new markets and offers a broader set of services. The principal focus of the company shifts toward software and web services for the Automotive industry. As a part of the image refreshment, the address and design of NNG official website are changed to igomyway.com. The site design and content are updated as well. The official NNG portal for map updates and purchase remains at www.naviextras.com. Price for CarteBlanche Navigator Software Reduced! We are glad to announce that from February 2011 the price for CarteBlanche Navigator software with the map of Ukraine is reduced from 680 UAH to 520 UAH. CarteBlanche Navigator software is based on iGO 8.3 and is intended for use with personal navigation devices and in-car multimedia systems. It is supplied with the map of Ukraine version 2010.10 with detailed coverage of 312 settlements. The map is updated free of charge during two years (till the end of 2012) through the official map update portal of iGO software developer, NNG Company. The campaign against illegal iGO navigation software distribution has spread from Kyiv to other regions of Ukraine. The police forces have recently seized more than 400 pirated iGO Amigo copies from a resident of Cherkasy region who was replicating and distributing them illegally. At the moment the initiation of a criminal case according to Article 176 of the Criminal Code of Ukraine is being considered for the violation of copyright of NNG, the software developer, and Carte Blanche Ukraine, the Ukrainian map supplier for iGO. Carte Blanche Ukraine company, NNG distributor in Ukraine, warns the customers to be careful, as a large number of illegal software distributors are trying to pass off their product as a licensed one. Illegal software can be distinguished by the following signs: navigation software from several different developers is installed in one navigation device; iGO is sold without manual and package; the license number is similar in several software copies; the software is being installed into the device in the moment of sale. In addition, no legal demo- or beta-versions of iGO software exist. The pirated navigation software is certainly cheaper than the licensed one, as pirates do not invest into its development and updating. But illegal iGO versions have no free map updates, and the user has to purchase new software each time the map becomes outdated. Taking into account that new versions of the map of Ukraine for iGO are released 4 times a year, the total sum given to pirates will soon outgrow the legal software price, if the map is updated regularly. But the customer will receive no advantages of the legal version, such as guaranteed correct software performance, technical support, possibility to purchase additional maps and much more. For those willing to purchase licensed iGO 8 software Carte Blanche Ukraine loyalty program is continued. The users who have not yet decided which navigation software to choose can test licensed iGO software for 2 weeks free of charge. The owners of pirated iGO versions can legalize it for a discounted price. What is more, the retail price of iGO 8.3-based Carte Blanche Navigator software for PNAs is reduced for everyone. Try the software before purchase! As NNG company, the developer of popular iGO navigation software, provides no demo-version* of the software, we offer our users an opportunity to try iGO 8 / CarteBlanche NAVIGATOR before purchase. To try the software, you pay its full cost and have two weeks for taking the final decision. If you don’t like the software for any reason, within this period you can return it and have all the money back. Please contact us to take this opportunity and test the GPS navigation software! * Please note that if you use a demo-version of iGO or iGO-based software, this means you have an illegal software version. Such software has no updates and no possibility to purchase additional maps of other countries through official NNG website. Illegal software is not provided with warranty and technical support. Carte Blanche Ukraine is the best customer of the year 2010! Carte Blanche Ukraine company has received a Certificate of the best customer 2010 from TVIS-INFO company, a supplier of ultra high resolution satellite images. This Certificate and the VIP-client title awarded to Carte Blanche Ukraine demonstrate close cooperation between our company and the leading map material suppliers and our intensive work on CarteBlanche navigation maps. We purchase high-quality satellite images and city plans in addition to our own mapping photography, paying special attention to roads and passages, in order to provide our users with accurate and reliable GPS navigation.